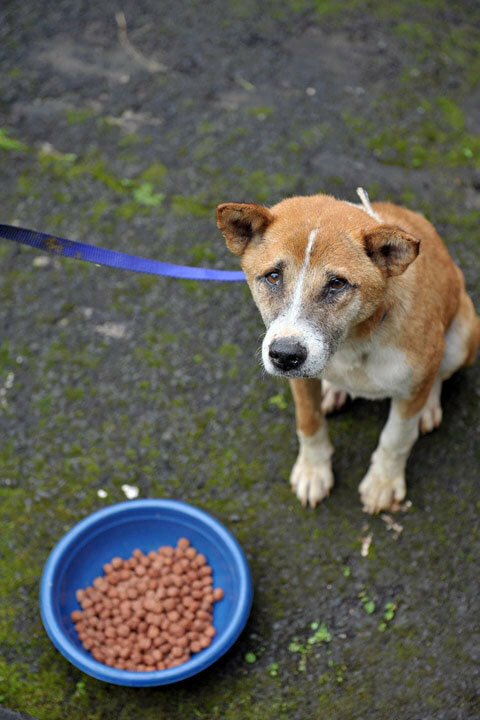 Help stop the dog and cat meat "trade"
Dogs begged for our help! 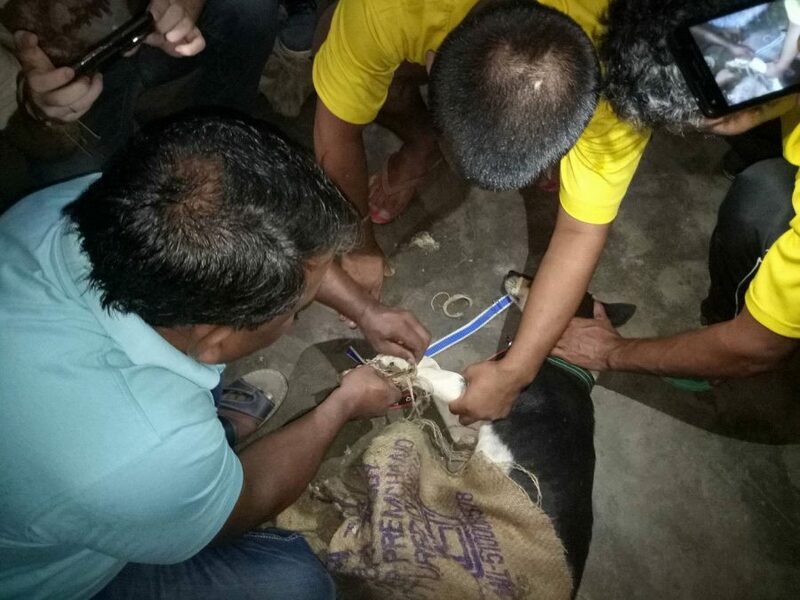 Rescuers found the dogs, they had their mouths taped shut and their paws tied tightly with rope. The desperate dogs - which were trapped inside bags - could be heard whining so piteously. Our partner group - Just Be Friendly (JBF) and people in the N.E. states of India are looking for the culprits who transport the dogs for meat all the way to other nearby states. The consumption of dog meat is illegal in India but is flouted in the far N.E. 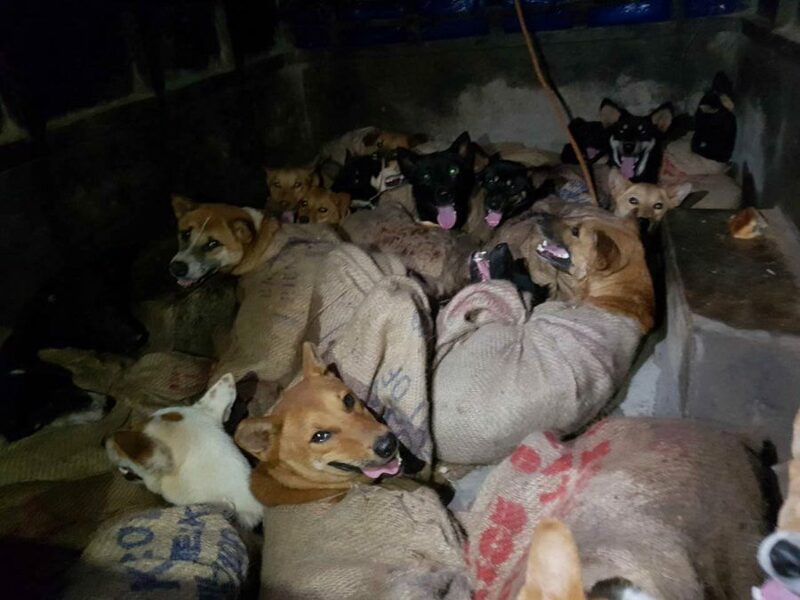 states of Mizoram and Nagaland, where hundreds of dogs are killed brutally for the meat trade. Some consider dog meat to have high nutritional and medicinal value. 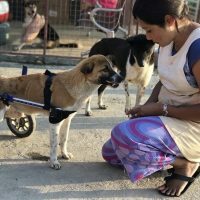 Legs and front paws are tied in the bags and dogs left without food or water for days! Finally freed but so scared! 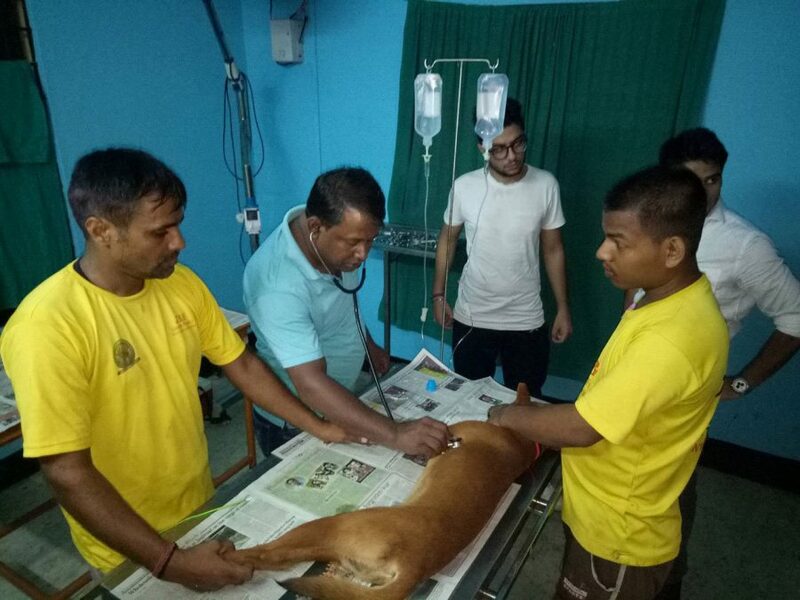 Just Be Friendly giving treatment - dogs are dehydrated, stressed and terrified. They will recover and be up for adoption now. Watch this video for a very graphic depiction of what happens to the dogs if they are not rescued - warning! 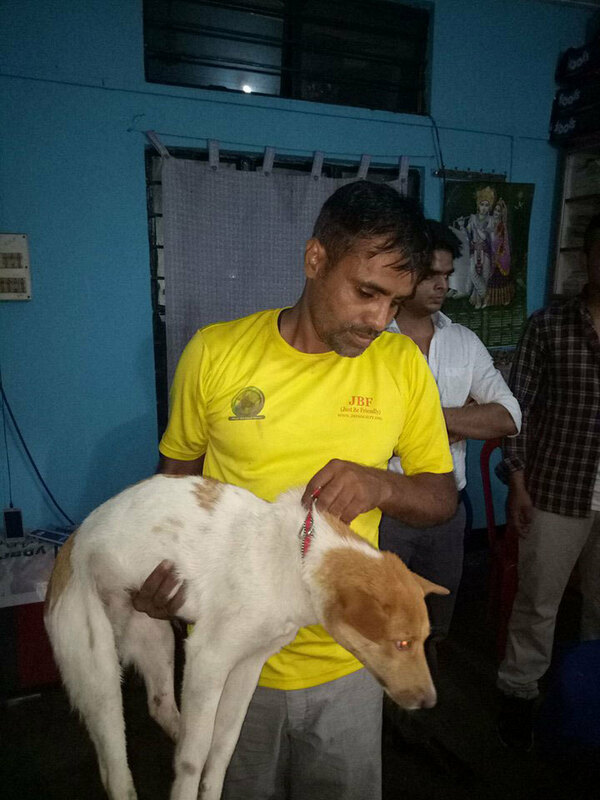 Photo courtesy of People for Animals, Chennai - a Help Animals India supported sanctuary. Unfortunately this is still happening in isolated incidents in South India. It was the tradition of the Narikurava tribal people to take this as a living as part of their hunting and trapping and specifically when cat populations were unwanted and people would call them to eliminate the cats in areas where there were no animal welfare groups to help the cats. Many people believe that cat-meat is an aphrodisiac and has several medicinal properties. Quacks prescribe cat meat for impotency, asthma and arthritis, also cat meat is considered a delicacy among gypsies. Cats would be caught and killed most cruelly for meat. This included cats are snared at garbage collection points, by cat snatchers using a long handled rod with a wire loop, who cram them into plastic gummy bags, and bash them with a lump of wood, until they stop thrashing. Other methods include boiling alive. 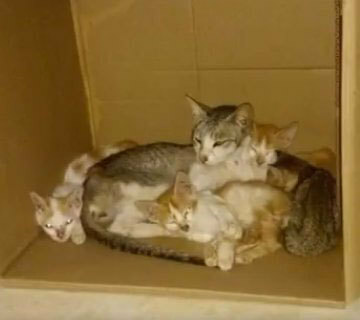 This is also highly illegal and groups work along with the police to catch the culprits and rescue the cats. 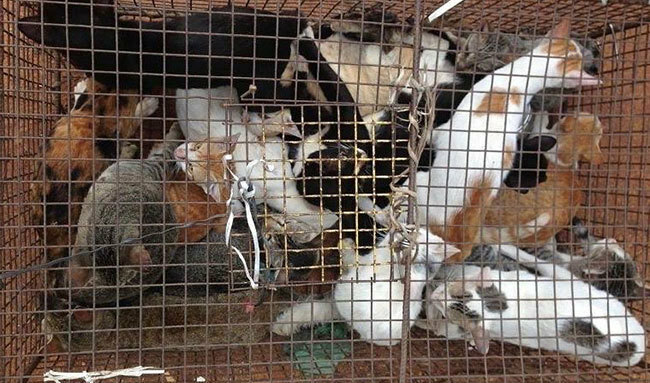 Cats, some neighborhood pets, rescued before being killed in horrible ways to be eaten! They are now in a cat sanctuary for life, help support their care! Thanks to the activists courageous compassion this horrifying practice is on the wane. And cats can live in safety and peace. 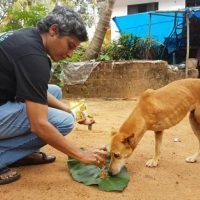 Your kind donation to Help Animals India can help us help makes these practices of dog and cat eating a painful story of the past!